Your HVAC system is among the most important systems in your home. For that reason, it’s essential that you maintain it well. To make sure that they’re operating properly, your ducts and HVAC systems need to be cleaned periodically to get rid of dirt and other contaminants. Effective duct cleaning requires the use of specific tools that are used to shake free the dirt. This is done in order to loosen the dirt, along with other contents in ducts, to make them airborne so that they can be vacuumed out. In extreme cases, the ducts may have to be cut in order to access and agitate highly solidified dirt, which can then be removed using a powerful vacuum. 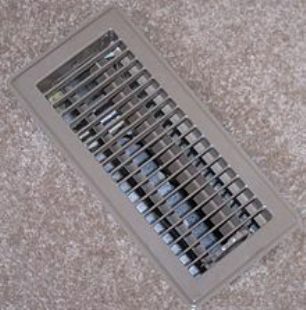 Attempting to clean these ducts yourself can lead to more harm than good. For instance, failure to use a HEPA filtration system in an interior vacuum system or failure to tightly seal the vacuum’s containment system might result in the release of contaminants into the interior of your home. In order to facilitate the cleaning process, some ducts have service holes cut into them in order to provide access to cleaning tools such as a vacuum hose. After cleaning is done, it is imperative that these service holes are properly sealed, something which is best left to a fully qualified and certified HVAC professional who can also disassemble and reassemble the ducts. Your best bet of doing this is hiring a qualified contractor. If you want your HVAC and duct system cleaned safely, hire a HVAC professional who has received adequate training and certification from the National Air Duct Cleaning Association (NADCA). NADCA requires its members to have at least one staff member being a certified Air Systems Cleaning Specialist (ASCS) and to restore the HVAC systems of customers in accordance with the guidelines and standards of the association. Needless to say, certification from NADCA is not the only consideration to make when looking for an HVAC professional to clean your duct system. It is, however, among the most important considerations to make. Do you need to clean your entire HVAC system or just the ducts? With duct cleaning services, it is often the case that duct cleaning comes as part of the package of all-inclusive cleaning of your HVAC system. It is worth noting that, seeing as the only time your ducts need cleaning is when they have been contaminated, it stands to reason that if the ducts require cleaning, then so do the HVAC system components that come into contact with the air that moves through the system. It is highly recommended by NADCA that you go for HVAC system cleaning services that include not only duct cleaning but also cleaning and replacement of air filters, cleaning of diffusers and grilles, checking of the drain lines and drain pans for effective drainage, and checking of the cooling coils, heat exchanger, furnace air plenum, grills, and blower monitor among other important parts.